General Ledger in eoStar has been redesigned to improve auditability and simplify reconciliation to your financial package. A new addition is the GL Distribution Window, which improves the ability to identify discrepancies by examining the ledger distributions created by individual or groups of transactions. General Ledger has been further enhanced by adding AR reconciliation capabilities and additional flexibility with AP exports. 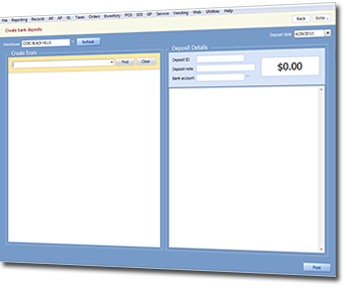 By pulling its information from sources like reconciliations and payment amounts, the new Create bank deposits feature in eoStar is a productive enhancement to Accounts Receivable. This new interface also provides the option for bank account selection, further refining eoStar’s user-friendly operation. 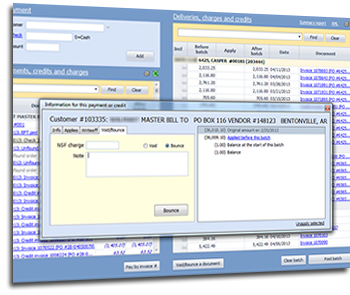 Payment Central in eoStar now includes all of the functionalities from AR adjustments (recording bounced checks, making payment reversal, and writing off invoices) and Payment Processing (inputting payments and applying to unpaid orders). With the inclusion of these features, clients will have to navigate to fewer locations and cycle through fewer screens to handle AR adjustments in eoStar. Rutherford and Associates will be inviting clients to participate in an assessment regarding customer service and satisfaction. The survey will cover the areas of partner performance, software quality, technical support and communication. The feedback received will assist in the development of tools and activities to improve services for both Rutherford and Associates, as well as eoStar. An email containing a link to the survey will be sent out shortly. 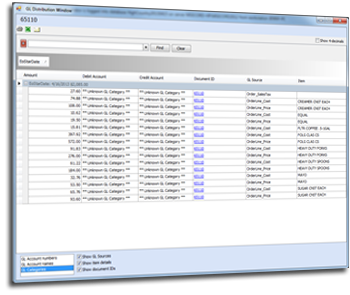 Support for QuickBooks 2013 has been added to eoStar. If you have any questions regarding this update, contact eoStar support today. eoStar will be hosting another Margin Analysis webinar series on May 22nd, at both 10AM and 3PM (EST). These webinars will cover the ways users can run ION reports to improve understanding concerning profit margins and the cost of goods sold. Additionally, FIFO layering to determine valuation will also be discussed. If you would like to register for one of these webinars, click here.